An independent Scotland would open a banking can of worms. Agreeing protocols on lender rescues constitutes only a small part of the debate. But if Scots vote in favour of separation next September, the issue will bring big headaches. Currently, all UK banks are regulated by the Bank of England in London. An independent Scotland could decide to create a Scottish central bank, along with a separate Scottish currency and banking system regulated from Edinburgh. But the secessionists want an independent Scotland to keep the pound, and interest rates to continue to be set by the BoE. It seems odd that the secessionists are content to let London set interest rates at levels that may ill-suit an independent Scottish economy. In return, however, Scotland would be able to share the cost of any future bailout of Royal Bank of Scotland. That’s important, given that RBS’ 1.1 trillion-pound balance sheet exceeds six times Scottish GDP. Scotland would still be left with a big decision to make, though: whether its banks should be regulated on an agency basis by the BoE, or by setting up a new Edinburgh-based supervisor within the new “sterling area.” If the BoE continues to call the shots, Scotland could see a London-based regulator agree to the winding up of a Scottish bank. In the process, London could inflict losses on Scottish bondholders – an unfortunate echo of what independence is trying to get away from. But if Scotland has its own domestic regulator, there would need to be ironclad rules of engagement between Edinburgh and London. The secessionists breezily refer to the potential for a “consistent and harmonised” working relationship, and cite emerging global cooperation on financial stability. Yet cross-border regulatory cooperation remains relatively scant. Many jurisdictions, like the U.S, are demanding higher capital levels from foreign-owned institutions. They want insurance against bank busts that inflict damage in their own territory. Familial bonds and memories of three hundred years of union might mean London would help Scotland when the chips are down. But the point of independence is to cut ties, not re-invent them. 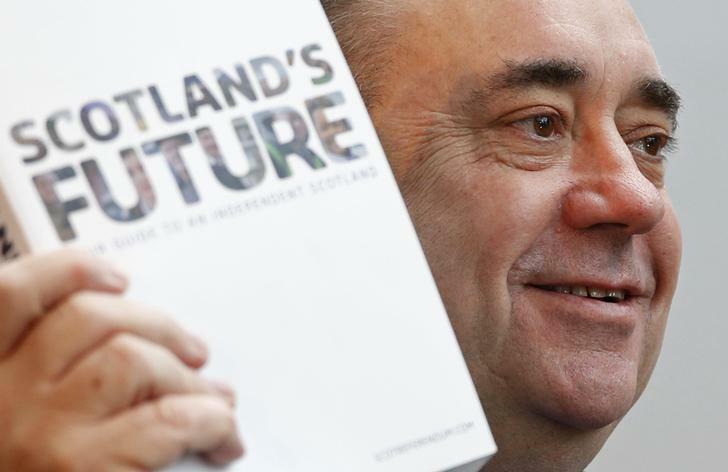 An independent Scotland would establish its own financial regulator, according to proposals published by the leading supporters of secession on Nov. 26. The Bank of England’s Financial Policy Committee could continue to set macro-prudential policy and hold responsibility for identifying systemic risks across the whole of a new “sterling area” – in which a newly independent Scotland would keep using the British pound as its currency. The BoE would also continue to act as lender of last resort, with shared contributions from the Scottish and Westminster governments, on the grounds that financial stability would be a mutual benefit to both populations. Supervision of deposit takers, insurance companies and investment firms would fall either to a joint prudential regulatory authority or a “Scottish Monetary Institute” working alongside the equivalent UK authority. A separate Scottish regulator would assume the role of the UK’s Financial Conduct Authority, which is a mandate to protect consumers.